One of the most beautiful places to experience Michigan’s iconic fall foliage is Mackinac Island. 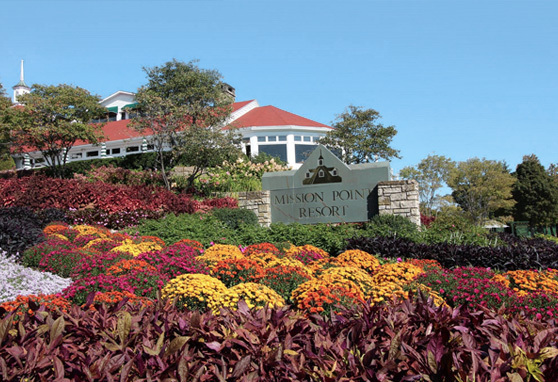 See the sights by horse and bike with this package that includes half day bike rentals and a private carriage ride along with delicious meals right at Mission Point. Package starts at $380.00 per adult based on double occupancy. Package is subject to availability September 1-October 27, 2018. Package inclusions for the number of adults and children stated on the reservation. Included wine is for adults only, and subject to limit of 1 bottle per 2 adults. Gratuity included in package, taxes and fees additional.